How do you rate a horror film? Does the script have an upper hand on scary scenes? Should every horror start with a terrific scene of horror to win the audiences attention? What are the expectations from the remake? What makes this list worth watching? Get all your answers from the best of English horror with the uncommon script and direction of all time. A mysterious ghost town which has an intriguing story behind it. This can be a movie where you may keep guessing the suspense and fail all the time. A true example of ‘Horror Mystery’ with an interesting climax and horrifying scenes is enough to keep you interested. Ouija is very different from other horror scripts that revolve around Ouija board and is something more than just awakening the ancient spirits. It has a scary opening of a girl getting hanged and the movie justifies this exclusive opening by living up to the expectations of the audience. A truly different script of supernatural horror-fantasy which has a lot of emotions between the characters and scary scenes at the same time. Incredible acting of both the kids is the highlight of this movie and also an unusual script. The Conjuring is one of it’s kind and had every aspect required for a classic horror right from the beginning to the end. It was praised by both critics and audience as the most scariest after The Exorcist (1973). The horror scenes were fresh and terrific for all ages. One of the highest grossing horror films of all time is the remake of a Japanese horror classic and can genuinely scare any viewer. Going for a remake is always risky but this one managed to prove it wrong and was better then many other horror films. The ring had two sequels The Ring Two and Three as well which were equally good as the first one. One can get goosebumps and nightmares after watching these films and will never regret watching them. The makers of the film are to be praised for such a successful remake as it can’t be better than this for sure. The name itself gives an idea about the film and yes it’s a haunted house but that’s not all because the story is totally distinct from the other haunted house stories. It has the ability to scare you and is based on true events which makes it more realistic. This is a must watch remake of a movie released in 1979 of same title. Another J – horror remake which didn’t do that well in terms of critics and the story is bit predictive too. But the best part is the reason behind the events happening in the movie and it also ended with fearsome scenes. If you are someone who likes violence and terror in horror films, well this can entertain you with an average script. Based on a curse that follows the girl everywhere and scares the hell out of her so much that she gets tired of it and finally decides to find the mystery. Very different concept with a gypsy ghost who will piss you off till the end with her actions. That’s the best thing because the audiences will equally hate her like a victim and get involved with the story. This horror-thriller with Nicole Kidman in the lead was nominated for many awards for almost everything including best script, screen play, direction, lead role, supporting role and also for best young actor. So a movie that doesn’t need an introduction and a totally different concept that will astound you. The lead is a writer of true crime horror books and this house gives him some really good material for his next book. He later regrets a lot for his decision of moving to this haunted houses as the events are really nerve-racking. This is a must watch with night terrors and some unexpected scenes which play with your heart rates. 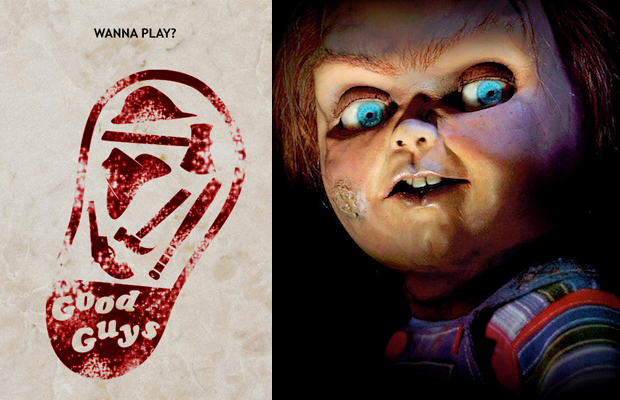 A possessed doll named Chucky who returns with more action and horror to entertain the viewers. The sequel is considered better than the original and the movie is fast so you won’t get bored. One of the best scariest doll movies of 90’s which would make you doubt about the toys around you. Horror genre demands every aspect of it to be the best and in fact more compared to other genres. It can get completely pointless and boring at times. So, try to be choosy if you ever feel like watching a horror and hope you will enjoy this list.